The world's largest aircraft took off over the Mojave Desert in California on Saturday, the first flight for the carbon-composite plane built by Stratolaunch Systems, started by late Microsoft co-founder Paul Allen, as the company enters the lucrative private space market. The white aircraft called Roc, which has a wingspan the length of an American football field and is powered by six engines on a twin fuselage, took to the air shortly before 7am Pacific time (14.00 GMT) and stayed aloft for more than two hours before landing safely back at the Mojave Air and Space Port. "What a fantastic first flight," Stratolaunch chief executive Jean Floyd said on the company's website. "Today’s flight furthers our mission to provide a flexible alternative to ground launched systems, Mr Floyd said. "We are incredibly proud of the Stratolaunch team, today’s flight crew, our partners at Northrup Grumman’s Scaled Composites and the Mojave Air and Space Port." Earlier Mr Floyd had tweeted that the aircraft's engines had been successfully tested before the maiden flight. The plane is designed to drop rockets and other space vehicles weighing up to 500,000 pounds at an altitude of 35,000 feet and has been billed by the company as making satellite deployment as "easy as booking an airline flight". 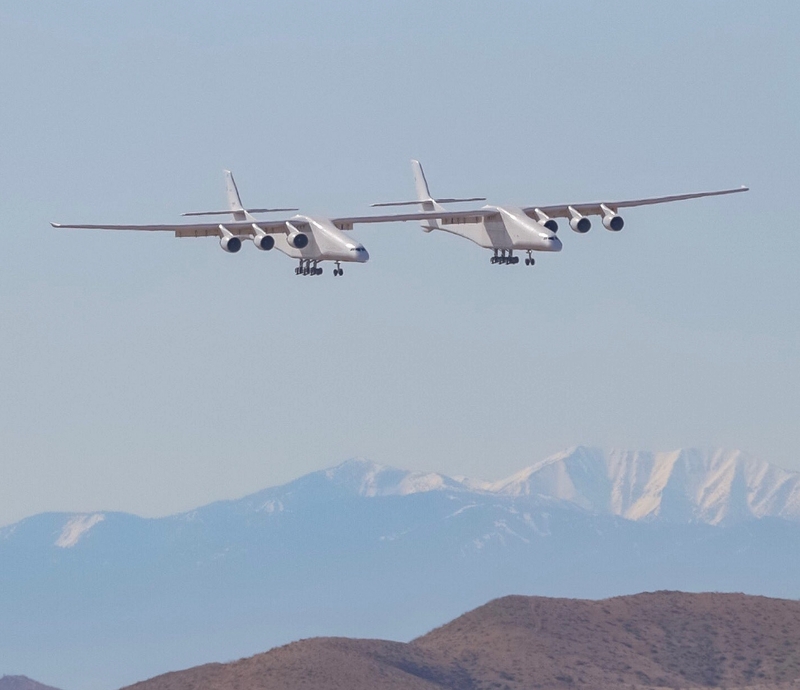 Saturday's flight, which saw the plane reach a maximum speed of a little more than 300 per hour and altitudes of 5,200 metres, was meant to test its performance and handling qualities, according to Stratolaunch. Stratolaunch has said it intends to launch its first rockets from the Roc in 2020 at the earliest. Allen died in October 2018 while suffering from non-Hodgkins' lymphoma, just months after the plane's development was unveiled. "We all know Paul would have been proud to witness today’s historic achievement," said Jody Allen, chair of Vulcan and Trustee of the Paul G Allen Trust. "The aircraft is a remarkable engineering achievement and we congratulate everyone involved."